The Ink Trap: 12 Days of Krafty Kreations...Day Twelve! Hey, y'all! Welcome back! Over at Kraftin' Kimmie Stamps we've been celebrating the holidays with a bit of daily inspiration for you during our 12 Days of Krafty Kreations! Each day one of the Krafty Girls has showcased an image and used it on a card, there are some fabulous designs that you won't want to miss! As an added bonus, each one of the stamp sets we've been showing (plus a few extras) are on sale 20-50% OFF until TONIGHT!!! Each order placed before tonight will receive a FREE GIFT! Today I am using the EVA stamp set which is part of the sale going on now! 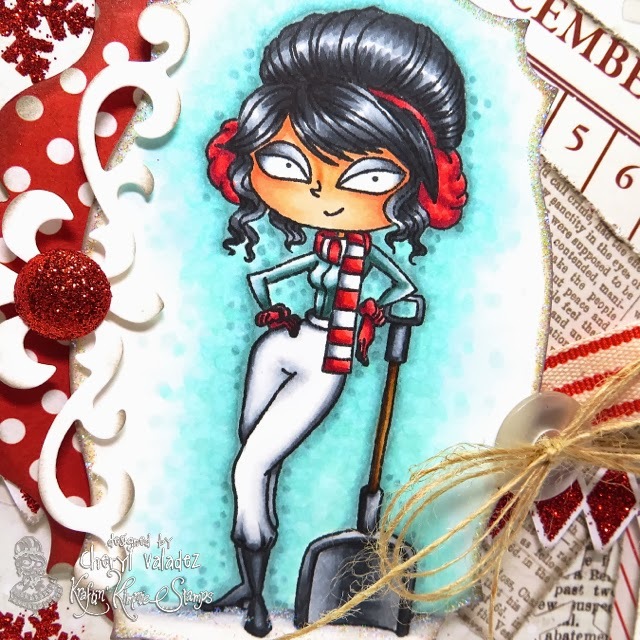 Eva is probably my favorite cold weather stamp image and I've used her several times. Love that sassy smirk. All she has to do is bat those eyes and I'm sure some hunky dude will come right over and shovel that snow for her...LOL! Kim will be sharing more projects featuring Eva on the KKS Facebook Page today. Also, don't forget to head to the KKS Shop and check out what's on special before the sale is over!!! Okay, that will do it for me today! Until next time, stay krafty! Wow, love these images. She looks fantastic. Gorgeous card. This card is just gorgeous and love all the glittery accents!! 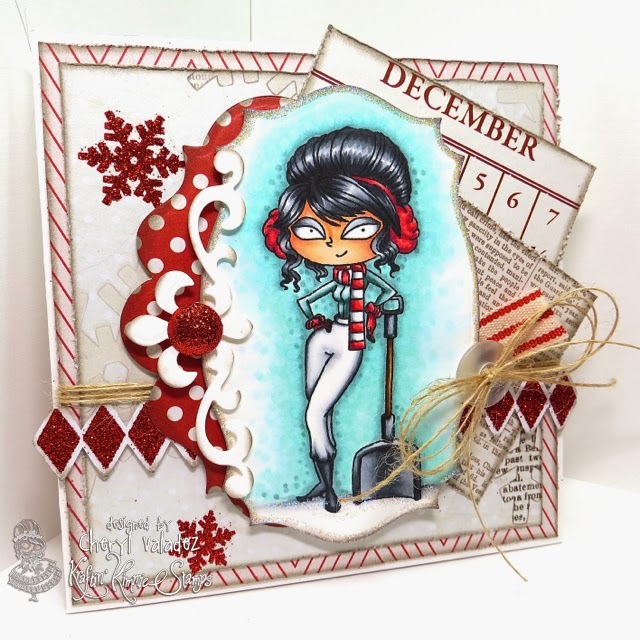 What a great card, I love the added sparkle Cheryl, just perfect for this time of year!